Take the GMAT entrance exam. Spend $300. Apply to a graduate program, pay the €100 fee. Shock all of your friends, family, and professional contacts, to the point that it becomes embarrassing, by accepting your acceptance and announcing your move. Wire the €10,000 deposit, if you have that kind of spare cash. 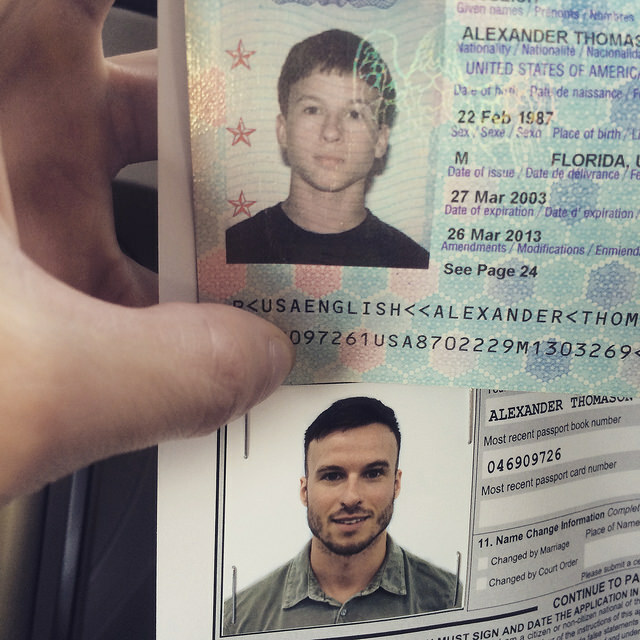 Renew your passport, for $110, and then apply for Global Entry, for another $100. Passport photos from a fluorescent-lit CVS, priceless. Open a joint bank account for easy transfers while abroad. Take online remedial pre-courses, €1,500. Purchase a new, light, golden Apple MacBook (2.03 lbs, $2,000). Learn Italian with Pimsleur’s Short Course tapes (free from the Hillsborough County Public Library). Practice with your dad. Leave your job, transfer your car lease ($450). Fly Emirates JFK→MXP on the A380 jumbo jet, one-way ($540). Arrive exactly one month ahead of classes, stay in an Airbnb for one week before finding a suitable long-term arrangement ($TBD). Alexander I just read all your posts at once! is kind of inspiring particularly this move to Milan, I wish you are already professionally located where you can show your strengths.